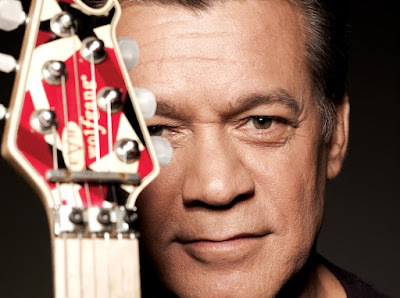 Eddie Van Halen has filed a lawsuit against a videographer over his attempted release of a scrapped 2006 Van Halen documentary. According to TMZ, the guitarist hired videographer Andrew Bennett to film music rehearsals with his son, Wolfgang, and his brother, Alex Van Halen, in 2006 for a possible DVD or video release; the sessions took place prior to the 2007 return of the band’s original vocalist David Lee Roth. After Van Halen shut down the project, TMZ notes that the videographer threatened to release it years later after claiming he was never paid but, according to court documents, the rocker secured the ownership rights to the material as part of a 2015 settlement over the issue. According to the new lawsuit, Bennett is now trying to sell the material and has released a trailer via his web site 5150vault.com. Although Van Halen got the site suspended for copyright infringement, Bennett launched another one with a similar name which is linking to a preview video of the music rehearsals. Van Halen is seeking the court’s assistance in the removal of the video material from online while preventing Bennett from releasing or selling footage, with additional compensation for damages. Earlier this month, bassist Michael Anthony confirmed his participation in a new documentary about his former band; few details about the production are known at this time, including the possible involvement of other past and current Van Halen members as 2018 marks the 40th anniversary of the release of the group’s groundbreaking self-titled debut album.